Thanks to our General Manager, Don Harb, for breaking down the proposed negative gearing changes in this article. It has been well-reported that Labor will introduce changes to negative gearing, if it gains power in the federal election on 18 May. The position of the Labor government is that by changing negative gearing to only apply to new dwellings, for any properties purchased after 1 January 2020, it will create greater housing affordability for new home buyers. Whenever there is a policy change that has such a significant impact on the day-to-day lives of every Australian, there are always three types of voters; the ones that are completely against it, the ones that don’t care either way, and the ones that are for the changes. The two groups at either end of the scale will very likely never change their mind. The people in the middle are where the vote will be decided. The irony is, it is the people in the middle who will be impacted the most by negative gearing and any changes that are made or not made. So what are the changes Labor is proposing from 1 January 2020? Only new dwellings purchased will be able to be negatively geared. Any property purchased before January would be grandfathered and therefore would still be able to be negatively geared. Halve the Capital Gains Tax discount for assets held longer than 12 months from 50% to 25%. So, for any existing property that is purchased as an investment after 1 January 2020, the investor would not be able to negatively gear, and any property sold after this date, even if it has been held for 12 months or more, would only receive a maximum of 25% discount on capital gains tax. The belief is that by only allowing negative gearing for new properties, the construction industry would kick start again, as investors would be looking to only purchase new properties, and existing properties would attract a lower selling price, welcoming previously excluded first home buyers into the market. With only new properties able to be negatively geared, this will reduce the value of existing properties even further as the investment becomes less attractive. The competition for new properties will become greater as most investors will look to purchase new properties to maximise the benefits they receive, resulting in increased prices. 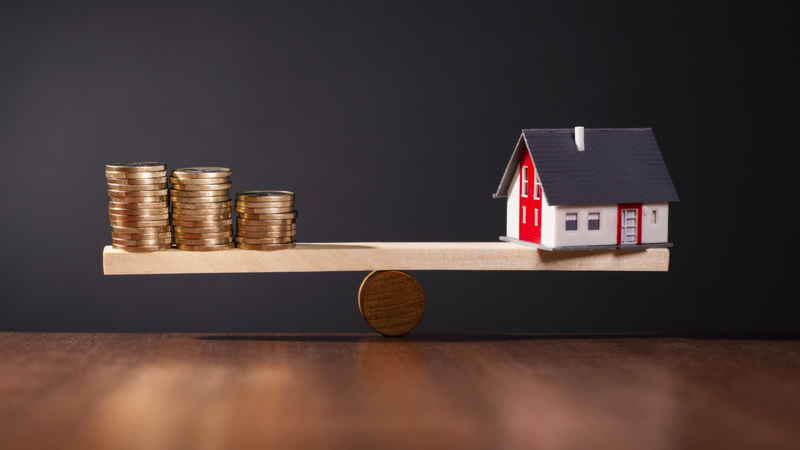 This means there may be a significant gap between the prices of existing and new properties and that gap will only get bigger as more investors enter the market. First home buyers, which this policy is being aimed at, may potentially be impacted in an even more negative way in NSW. To reap the full benefits from NSW government, a first home buyer must either be building a new property with a value of less than $750,000, or purchase a new dwelling at less than $600,000. This gives them a $10,000 grant from the government. If the value of new homes increases, the volume of properties under these values will continue to decrease, meaning first home buyers will have less access to properties that meet this criteria, and therefore less access to Government grants and incentives. The mum and dad investors do not receive most of the benefits of government grants in the first place as they may have already purchased a property. They use negative gearing as an opportunity to purchase a property for their future wealth that will supplement income as they get older. With the banking sector coming under fire for some of its practices, the ability to obtain finance for a property has already been reduced. With the ability to negatively gear properties removed for all but new dwellings, and an increase in pricing of new properties, the opportunities for mum and dad investors shrink even further. The career investor generally has a number of properties, and their ongoing purchases are an addition to their portfolio. These types of investors are playing the long game, where losing money on a property initially isn’t a significant impact on their desire to purchase. They are looking to increase their wealth on the basis that property values increase over time. The general rule, whether it be property or shares, is these investors make the most gains during the downturn times. Many of the most successful investors in the world will tell you, in tough times, they increase their portfolios the most, as the cost is reduced, on the basis that when the market starts heading in the right direction, they will have gained more wealth in their portfolio. Where they are using negative gearing as an offset, they will focus on new dwellings, increasing the price of these, and effectively reducing the ability of the mum and dad investor, and first home buyer to reap the benefits. This is where the most impact will be felt. With the values of existing properties being reduced due to their lack of investment potential, the home owners of Australia who have purchased and live in their homes, and have been working towards using this property as their nest egg for retirement, will see that nest egg reduce. This also reduces the ability for these owners to use their property’s equity, as the value has reduced, to purchase the investment property they were looking to use as part of their retirement. For any super fund that has an existing property as part of its portfolio, which a number of self-managed super funds do, the value of these funds reduces as well. Potentially, the group that has the least to gain from these changes is renters. In fact, they may well lose out significantly. With investors in real estate looking to maximise returns in other ways, the savvy investor will look at the existing property market, purchase a property at a lower price because they can’t negatively gear the property, but look to minimise the losses by increasing the rent. Now, the belief will be that people who can negative gear properties will not increase their rents. We do not believe this will be the case — why make a loss on a property when you can make money off it? Most people would rather pay tax on money they are making, rather than lose money, and make some back by offsetting it. Renters who are looking to get into the property market by investing will face all the impacts that are faced by first home buyers, as well as less money to service the loans. With the banks being very careful at the moment and loan serviceability being a major component of loan approvals, increased rents add another road block for renters as they try to enter the property market. The irony of all of this is the benefits of the changes that Labor are touting; the increase of housing affordability, the money saved by the government by reducing negative gearing benefits, and increase in development for rental properties, may well create the opposite effect to the expected benefits. While this is all speculation at this time, and all dependant on the Labor government implementing the changes in their current form, what this does highlight is some areas where there may be room for improvement, or at least need for further review to see if there is a better way. Only time will tell what will occur after 18 May. Hopefully it will be a measured approach to governing this country rather than the buying of votes and grandstanding that is occurring at the moment. Both parties have been left with egg on their faces in relation to the figures and the impacts these changes would have, so neither party instils much confidence in relation to the real estate industry in Australia. For resources about negative gearing changes you can print or share digitally, please visit the REIA resource page.